Maybe you’ve outgrown the realm of the recurve bow and are looking for something with a little more pep, or maybe you just want to upgrade your current compound setup so that you can hunt or compete a little more effectively. No matter the reason behind you hunting for a new compound bow, you’re going to find a flood of different options out there to pick and choose from and the odds are good you’ll come across the Diamond Archery Infinite Edge Pro during your search. Designed and engineered to the highest degree, this compound bow is capable of delivering a lightning quick payload with a lot of punch to the target with amazing accuracy – and it just may be the perfect bow for you. Let’s dive a little deeper into everything the Diamond Archery Infinite Edge Pro brings to the table! The first thing you’ll notice about this bow is that it is super smooth, even at the top end of the draw weight and FPS power. The cam and compound system guarantees that you’re going to be able to fire your arrows at speeds of up to 310 FPS, plenty fast enough to hit and drop big game target as well as to compete in archery tournaments. Secondly, this bow is laser accurate. We’re talking about almost uncannily accurate. The Diamond Archery Infinite Edge Pro has no real rocking or swishing when firing, and the limbs (when tightened into place and fully adjusted) are rock solid. You’ll be able to fire shots in rapid succession, all without having to worry about your dispersion getting too large. Finally, the setup of this bow really doesn’t get any easier than this. Adjustable between 5 and 70 lbs of draw weight, this is a powerhouse compound bow for newbies and more experienced archers alike. The Diamond Archery Infinite Edge Pro isn’t a bargain basement priced compound bow by any stretch of the imagination, so you’re going to want to be sure this is the bow you really want before you start to pull out your credit card. Some have found the cam system to be a little stiff right out of the box, but that’s really to be expected with any compound. You’ll want to take some time to really dial in your draw length, to really focus on finding that perfect blend of power and accuracy, and adjust the draw weight so that you’re hitting that sweet spot time after time. This is going to take quite a bit of time to get right, what with the manual changes you have to make with the Diamond Archery Infinite Edge Pro. As far as the general customer view of this compound bow is concerned, you’d be really hard pressed to find a more beloved option at this price point. Sure, it might not be THE most popular compound out there (especially for those that are used to dropping two or three times as much money as this on a new competition bow), but archers of almost all skill levels and with different interests are going to really like everything it has to offer. At the end of the day, there are a lot of big benefits you’re going to get out of the Diamond Archery Infinite Edge Pro, should you go in this direction. 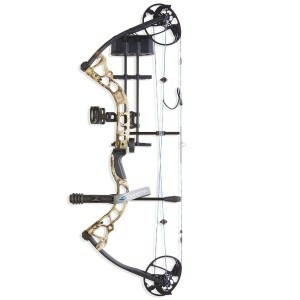 For starters, you’ll be using a fully adjustable compound bow that can fit most any archer style and size. Secondly, it’s high quality enough to be used in the woods hunting game OR competing at top level meets. And finally, this is a bow that is super smooth, quiet, and very accurate. The Diamond Archery Infinite Edge Pro is a versatile bow you’re really going to appreciate.